These walks are focused, one on one time for dogs/handler teams to learn to handle real life situations in busy downtown areas. We’ll be exposing you both to traffic, people, strollers, trains, prairie path joggers and cyclists, restaurants with outdoor seating and, of course, other dogs being walked with the group. Lots to learn and experience in the real world. It’s all fun and exhausting for the dogs. There’s no need to sign up either, just show up in the town we pick to walk in each week. These fun Pack walks start in Jun and run through early Sept.
High value treats ( your dog will need them to focus and be rewarded for handling distractions, new people, sites, sounds, etc. The walks last 1-1.5 hrs. and are very active. If you have joined us before, we look forward to seeing you again this summer. If this is your first time, Welcome!! These walks are fun and a great learning/bonding opportunity for you and your dog. 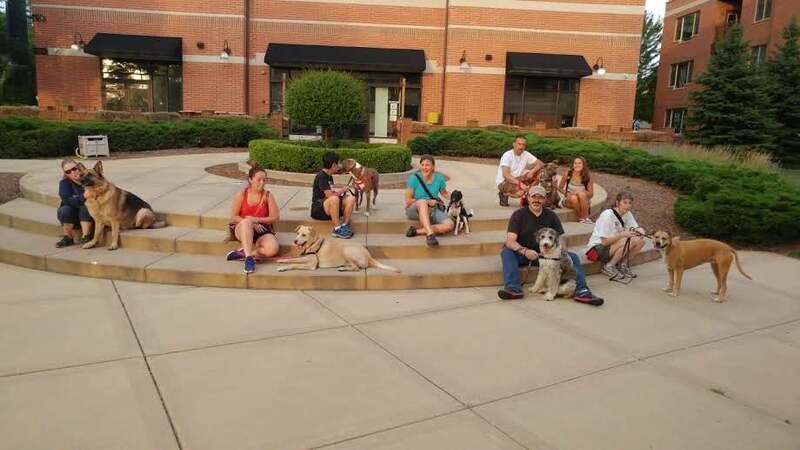 The walks are led by BRK Trainers so you can get the help you need to learn to walk with your canine, comfortably, while enjoying your time spent together. The world is full of a lot of distractions…we will help you and your canine learn to handle them all and be triumphant!! No need to sign up, just show up in the town we pick to walk in each week. This is a real exciting and fun walk!! An awesome way to review and demonstrate all the new skills you and your furry friend have developed in real LIFE situations throughout the summer. Join us for any, some or all of these adventures!! 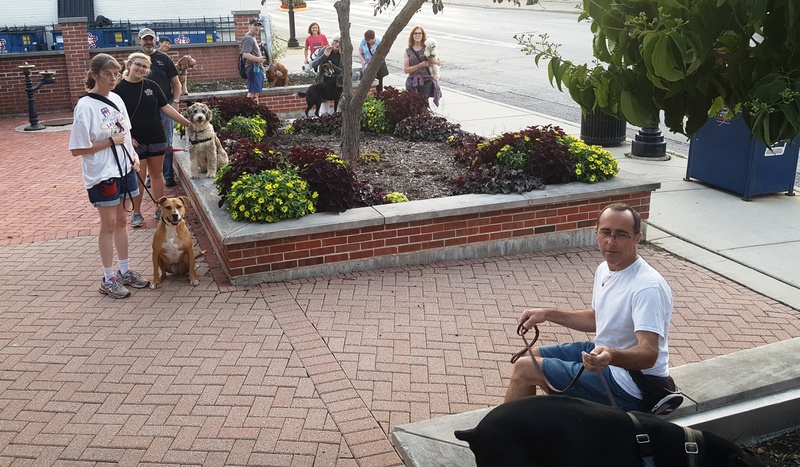 What a great way to be out and about with your canine on a summer evening exposing them to “LIFE” and working together to enjoy all your experiences.